Access to CBD in Uruguay remains difficult, despite the South American country’s overall progressive leadership on cannabis law reform. That could be starting to change this year. Access to CBD in Uruguay remains difficult, despite the South American country’s overall progressive leadership on cannabis law reform. December 2018 marked five years since cannabis became legal in Uruguay. After Law 19.172 was approved — enabling the State to regulate the cannabis supply chain, from growth to trade – Uruguay seems to have founded a true benchmark in the world, becoming the very first country to legalize recreational and medical cannabis. Taken under Pepe Mujica’s government – which was considered a role model for leftists in Latin America – this brave step towards regularization represented more than a juridical benchmark. By walking through the wooded capital of Montevideo, it is possible to realize that the legislation has also set a new moral paradigm in the Uruguayan society. It is not rare to spot a family smoking together at the ramblas (Montevideo’s riverbanks), or even turn the TV on and unexpectedly come across a popular morning show discussing the benefits of cannabis with its audience. The stigma around cannabis definitely belongs to the past. Progressive in several other aspects (such as legal abortion, affirmative action for the trans community and gay marriage), Uruguay’s policies may sound ideal to many people. But with regards to cannabis, the implementation of Law 19.172 still faces substantial issues: the pioneer country in legalizing marijuana still moves slow when it comes to regulated medical cannabis and legal CBD products. Although it was only with Law 19.172 that Uruguay gained a comprehensive, effective legal instrument for the regularization of cannabis, the country first adopted a more tolerant posture towards drugs in 1974 – curiously, during the Uruguayan Military Dictatorship. Over forty years ago, the Law 14.294 already exempted from legal penalty all the individuals carrying, using, or giving away up to 40 grams of marijuana. By 2012, when Pepe Mujica’s cabinet presented to the Congress the first draft of Law 19.172, the pro-cannabis discussion had already gained sufficient ground. In 1998, Law 17.016 allowed citizens to consume a somewhat larger amount of marijuana (compared to 1974); in 2000, President Jorge Batlle assumed a pro-legalization position; and in 2010, the Congressman Lacalle Pou presented a bill allowing citizens to grow cannabis for personal use. Since 2013, Law 19.172 stipulates that Uruguay’s government is in charge of regulating all the import, export, growth, harvest, production, acquisition, distribution, storage and trade of cannabis and marijuana-derived products. 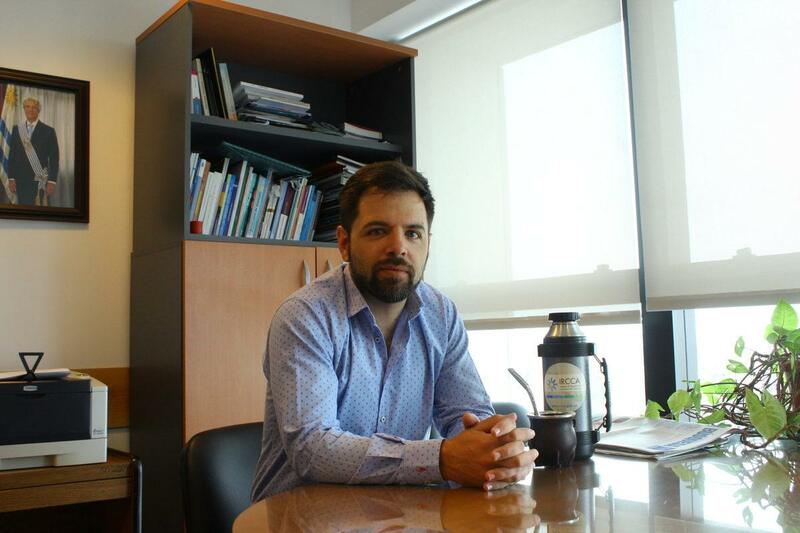 Diego Olivera is the President of IRCCA’s key board, the Uruguayan Institute of Regulation and Control of Cannabis. Created with Law 19.172, IRCCA is in charge of supervising the cannabis’ production process, formulating public policies, providing scientific data on cannabis and coordinating scientific cooperation. Like most pro-cannabis Uruguayans, Olivera evaluates the five-year-period of regulated marijuana as a positive one. “We are convinced that we adopted the right model,” he said. On the other hand, he does admit: the regulated medical cannabis market remains a challenge for Uruguay. Unlike Canada, which legalized medical cannabis in 2001, and recreational cannabis only in 2018 (clearly focusing on a public health strategy), the legalization in Uruguay turned, in principal, to the public security issue. Indeed, Law 19.172 foresees a cannabis regulation strategy that promotes public security, public health and individual rights, altogether. 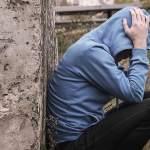 But, due to a greater concern with security, recreational cannabis — and its users, consequently — have been the priority on the last five years. Thus, Uruguayans still wait for a more democratic access to regulated medical cannabis. Today, Uruguay offers three legal options for the access to recreational marijuana: buying up to 40 grams out of four weed varieties (with higher or lower THC levels), offered at 17 authorized pharmacies; growing up to 6 cannabis plants at home; or becoming a member of one of the 114 cannabis clubs. On the other hand, a patient who suffers from refractory epilepsy, for example, can only find one legal CBD product at Uruguayan pharmacies: Epifractan. Although Law 19.172 was approved in 2013, Epifractan, a Cannabidiol extract, sold in concentrations of 2 percent and 5 percent, has only been on the market for a year. 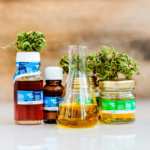 The only available CBD medicine in the pharmacies, however, is financially inaccessible to many of its users (the 5 percent formula costs up to 200 dollars). For purchasing imported CBD products, Uruguayan patients have to clear several bureaucratic hurdles, like obtaining a special prescription and an authorization from the Health Ministry. Beyond that, shipping these medicines is still quite expensive, and the government doesn’t provide any bureaucratic or financial assistance for this transaction. With so many obstacles to access regulated medical cannabis, an unofficial market of CBD-derived products has developed in Uruguay in the last years. Sustained mainly by a network of friends and relatives, these users, or patients, represent over half of the medical cannabis’ consumer market in Uruguay. 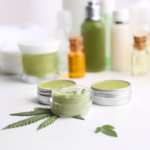 According to a research by Monitor Cannabis Uruguay, two thirds of users access CBD-derived products (oils, lotions, etc.) by buying it from unauthorized artisanal producers, by receiving it as a gift (from friends or relatives) or by producing it from their homegrown marijuana. Maria José Milles and Damián Collazo have been involved with the production of cannabis at least since 2014, when, along with approximately 20 other people, they founded CLUC (“Cultivando Liberdade Uruguay Cresce”, which means “By Growing Freedom, Uruguay Grows”). CLUC is one of the first registered cannabis clubs in Uruguay. Although none of them knows people who buy Epifractan in the pharmacies, they do know Uruguayans who produce artisanal Cannabidiol oil themselves. 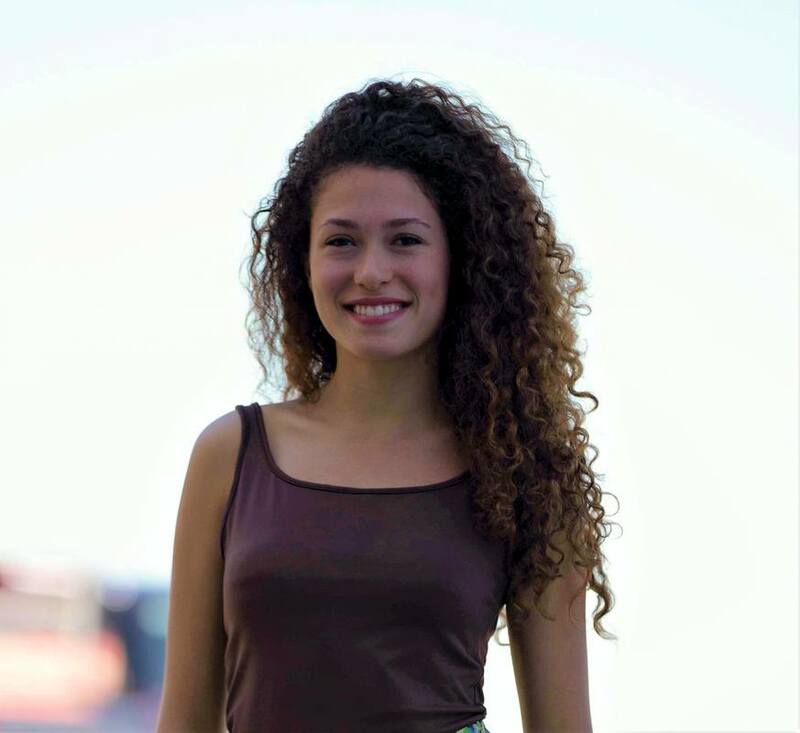 “We cannot sell homemade CBD oil to other people, but we produce it ourselves and give it as a gift to people we know … I personally make it for myself, but also for my mother and a few friends,” said Milles, who is in charge of CLUC’s administration and accounting. 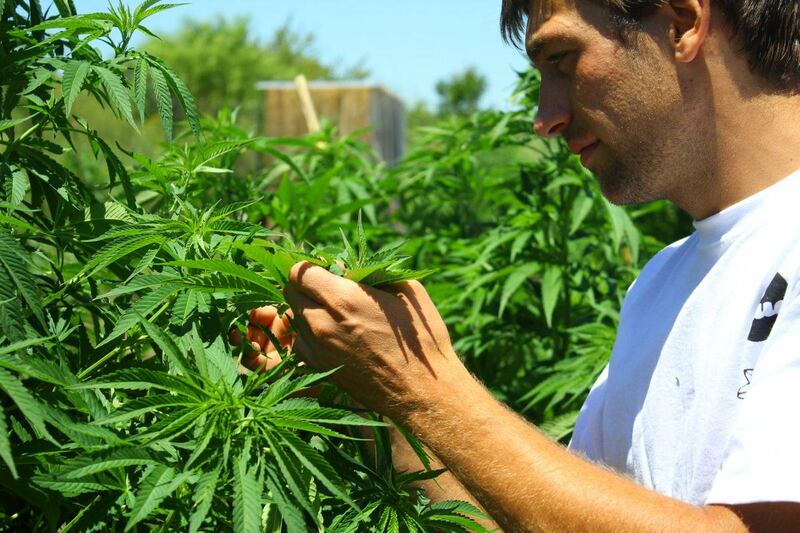 Gardener and agronomist, Damián Collazo takes care of the seeding of ten different cannabis varieties at CLUC. According to him, there are CLUC members who also produce CBD oil to treat serious diseases. “One of our club managers produce it and give it to her mother, who has cancer,” he told Ministry of Hemp. For Diego Olivera, there is a mistaken presumption among users that cannabis is a “magical substance,” capable of healing almost everything. He also warns for the risk of self-medicating with a product that was not tested, and whose efficacy and safety isn’t guaranteed. The year of 2019 promises to be better for CBD in Uruguay and medical cannabis users overall. In November 2018, Canadian group Aurora (one of the licensed companies that produce cannabis) inaugurated Uruguay’s first production center for medical cannabis. 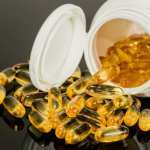 Aurora’s medicines are expected to be launched in February this year. What’s more, 32 groups already have IRCCA’s authorization to research and produce medical cannabis. Eduardo Blasina is the director of Montevideo Cannabis Museum, founded in 2016 as an effort to demystify cannabis. Also, he is a partner of Symbiosis, one of the first companies to have won the government’s bid to produce marijuana. Right now, Symbiosis is working on two medical products: a refined CBD oil and a “raw” (the whole extract). They hope to launch both near the end of 2019. At the moment, Uruguayan political party IR — a member of Frente Amplio, the left-wing political coalition that is in power right now — is working on a bill that reclassifies CBD-oils as phytotherapeutic compounds, instead of medicines. Inspired by Colombia’s and Czech Republic’s laws, the bill aims to facilitate the access to regulated medical cannabis products by allowing smaller producers to become regular sellers. Considering that, so far, only international companies have been able to meet Uruguay’s rigorous requirements to produce medical cannabis, this bill could mean a more democratic official CBD market. Diego Olivera is optimistic about the future of medical cannabis: “This year will clearly witness advances in research. We hope to prioritize accessibility, turn the market more dynamic, and invest in other cannabic industries, such as food and cosmetics,” he said.